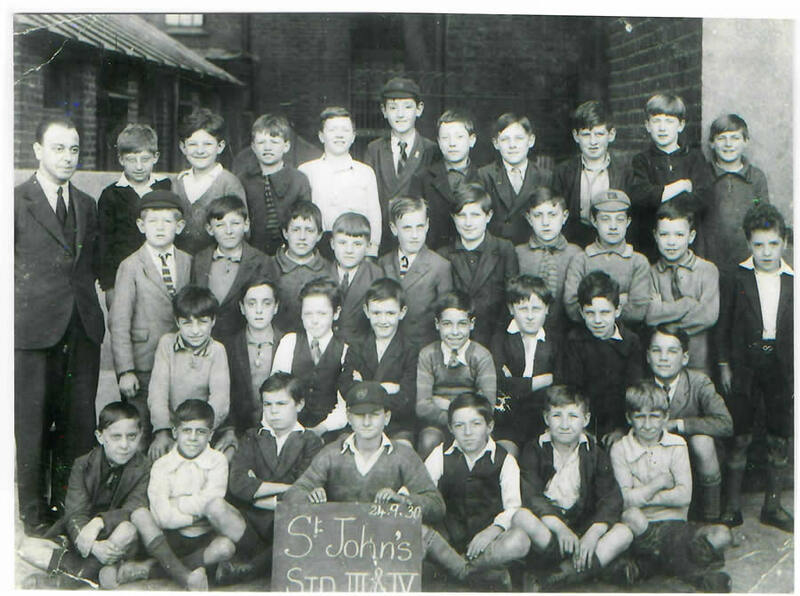 In 1837 two priests from St Mary Moorfields moved to the parish of St John the Evangelist and built the school in Duncan Street. 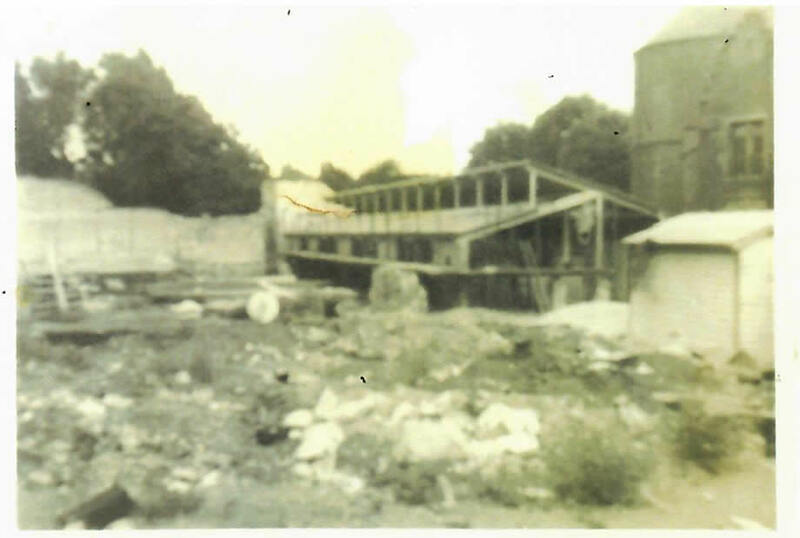 The school was used not only for education but also worship until the church of St. John the Evangelist was built. By 1841 the Roman Catholic congregation was growing rapidly and was becoming one of the most important in the suburbs. 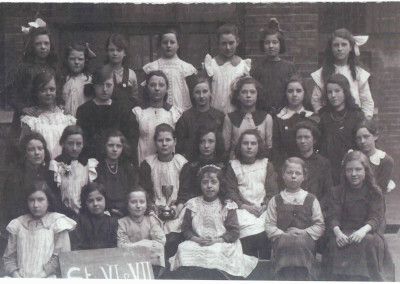 By 1898 the Sisters of the Cross and Passion had taken over the running of the school. The school provided infant education for boys and girls and senior education for girls only. 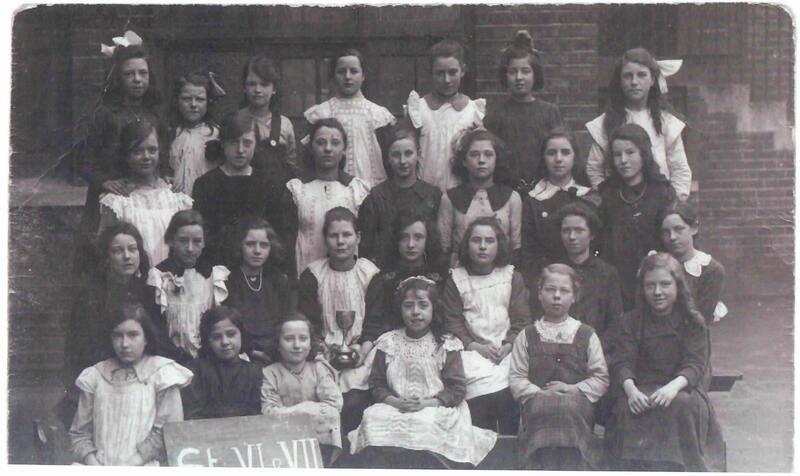 It is recorded that a prize day was celebrated in 1899 with ‘splendid entertainment for the parents’. Over the next year the number of children who were sent to the school grew. 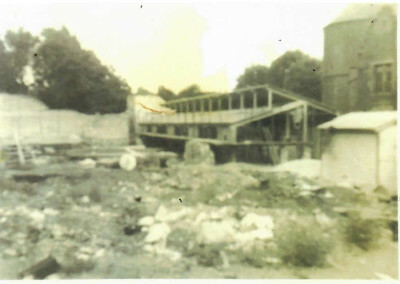 In June and July 1900 the Government Inspectors also expressed their satisfaction with the work done in the schools. Increasing numbers of children from families of poorer immigrants particularly from Ireland and Italy began to attend the School.. There are still some children attending our school today whose grandparents and great grandparents attended the school. 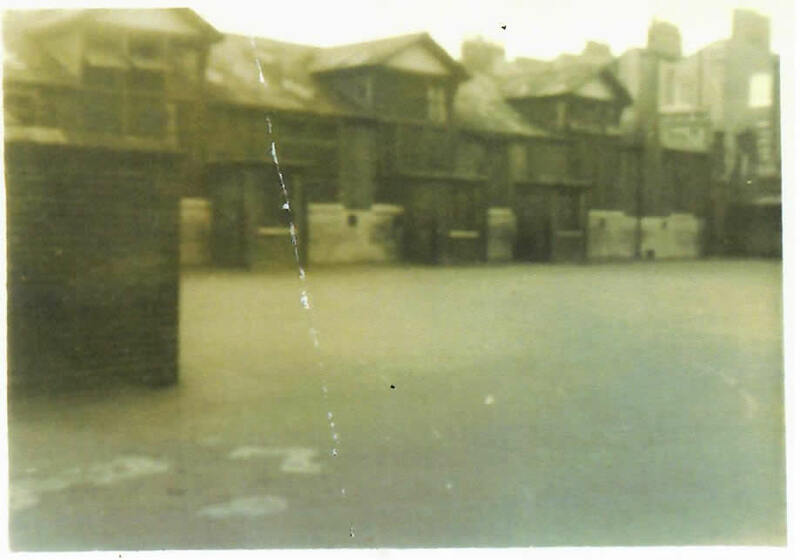 The premises on the Duncan Street site are some of the oldest school buildings in the Borough of Islington and date back to 1841. They were enlarged in 1872 and again in 1908. There was a major expansion in the 1970’s when the ‘new’ blocks were built. We are currently in the process of bidding for funding to develop the provision further. 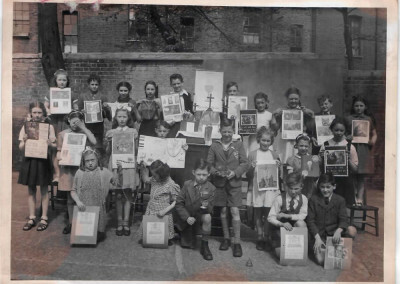 At the beginning of the Second World War, the British Government circulated its scheme for the evacuation of school children. 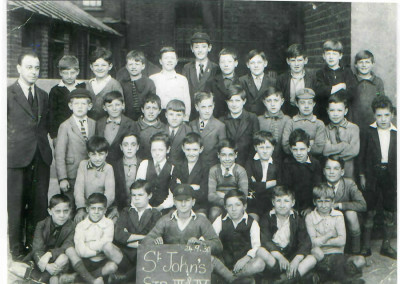 We know that some of the children from St John’s were evacuated to Tamworth near Coventry and Sheringham in Norfolk. In the 1950’s space was very limited, assemblies were conducted in the classrooms and children went by bus for their lunch to Charles Lamb School in Popham Road. St John Evangelist School continues to serve the community of St John the Evangelist Parish. 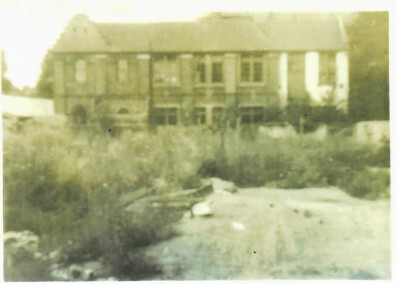 It has a vibrant and eclectic intake as it did when the school was first established. 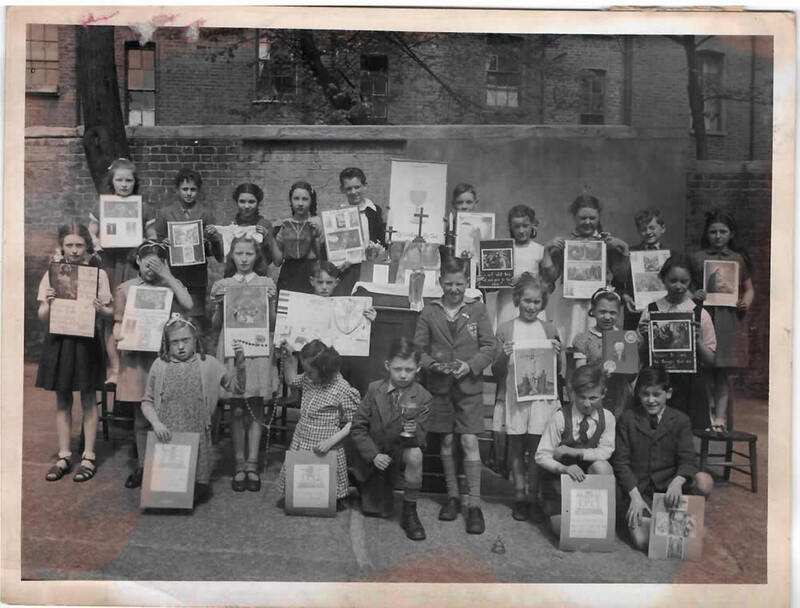 The Catholic community of Islington includes immigrants, both new and old, from across Europe, Africa, South America, Asia and the Caribbean and they continue to send their children and grandchildren to the school. We have served and educated a very similar community for 180 years and hopefully will continue to do so for many years to come.